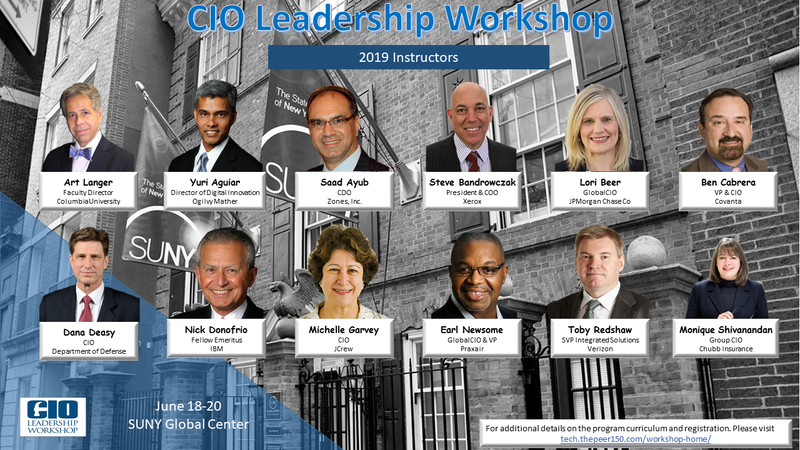 The CIO Leadership Workshop is an executive level program designed for high potential IT executives looking to develop and enhance their leadership skills. We are unique in that we focus specifically on IT Leadership challenges, rather than marketing, sales or general leadership as many other programs do. Our sessions are taught and facilitated by CIOs in the local area that have experience in the CIO role. The CIO Leadership Workshop provides high potential IT Executives with an insight to the skills, techniques and disciplines of the CIO role. The sessions are taught by former and current CIOs as well as faculty from Columbia University. Potential participants are typically VP and Director level IT executives from large organizations, small to mid-size company CIOs and VPs, and high potential directors and managers on a fast track.